Once again cannabis is shown to reduce harm, not cause it, with the majority of people using it as a substitute for other substances – go figure! Recently, we wrote an article on how research suggested cannabis, if anything, was an exit drug, giving people addicted to harder substances a way out. Well, this has just been backed up by another similar study that found even more significant results! The research in question was published in the journal Drug and Alcohol Review by researchers from the University of Victoria in British Colombia. 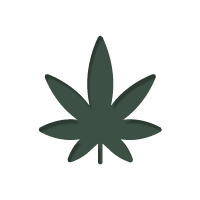 In their paper, they outline how they surveyed 473 Canadian citizens licensed to use medical marijuana, to impact how cannabis affected their drug taking behaviour. The results were quite staggering! It was found that 83.7 percent of the people surveyed were using cannabis as a substitute for one or more of the following substances: alcohol, illicit drugs and prescription drugs. Of these people, 80.3 percent said cannabis was an alternative to prescription medication, 51.7 percent for alcohol, and 32.6 percent for illegal substances. This was particularly true for people in the age range of 18-40, who predominantly used cannabis to relieve pain. The authors concluded that not only does cannabis have real medical implications, but it could also be used as a tool for harm reduction, helping people drop dangerous substances in favour of the manageable nature of cannabis. This further backs up the idea that cannabis is, in fact, an exit drug, not a gateway drug. The amount of evidence that cannabis is a benefit to our society is irrefutable! It would be interesting to see the results from a much wider participant pool, say in the US, where medical marijuana use is spreading on a much greater level. How long can the medical value be denied?